Culpepper Landing is one of Hampton Roads’ most popular new home communities. Not only is the neighborhood, with stocked lakes, olympic size pool, and dog park, as cute as it could be but the homes are simply gorgeous. 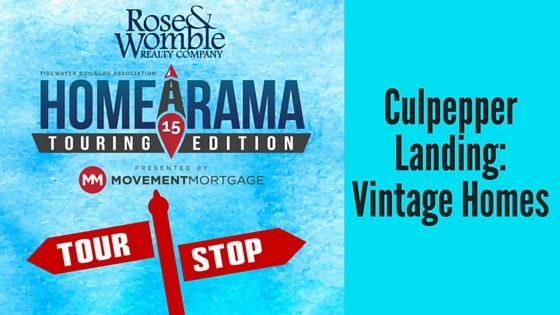 Vintage Homes is opening up The Drummond model for Homearama. This craftsman style home has a Charleston look with a balcony off of the master bedroom. There is also a huge laundry room and a downstairs flexible room you could convert to a bedroom or office. We hope you take advantage of the tour and stop by this beautiful house.